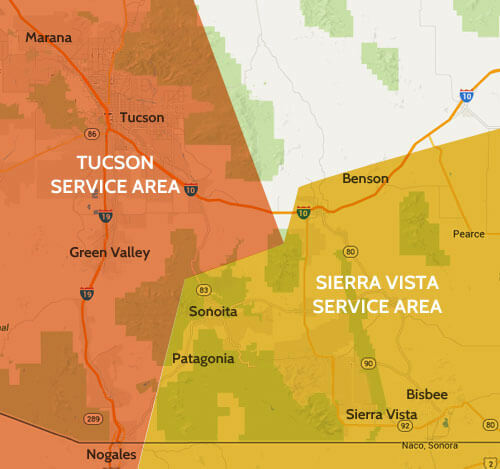 We provide residential and commercial delivery services throughout Cochise, Santa Cruz and Pima Counties. We also have 3 conveniently located bottle fill locations to service your small bottle needs. If your area is not shown, it does not mean we don’t deliver there. Please contact us for further information.